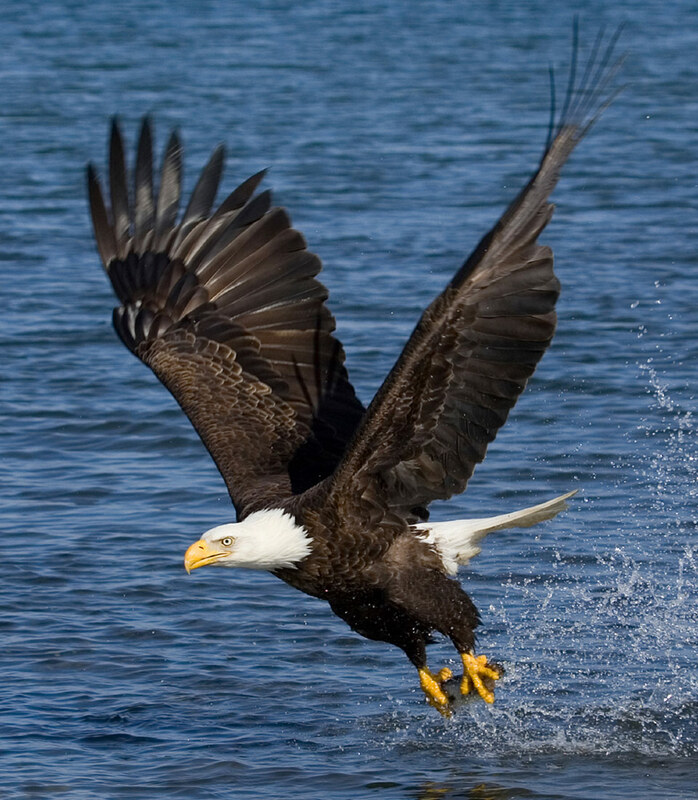 Human presence can stress the eagles and force them to use precious energy that they need to survive. It’s best not to disturb the eagles, especially in heavily-visited areas. Remember, we share the healthy lands and clean waters of our beautiful Upper Delaware River region with a whole host of wildlife, including eagles. Being respectful, aware, and cautious means we can continue to experience the joy and satisfaction we get from seeing eagles soar above our rivers and forests. Move quickly and quietly to observation blinds, where you can remain hidden from view while watching the eagles. (Blinds are located at Mongaup Reservoir and at Minisink Ford locations). Don’t do anything to try to make the eagle fly. 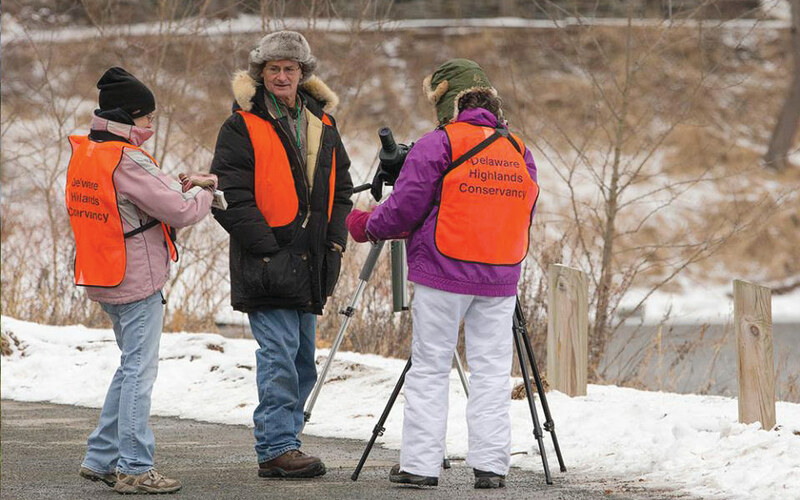 Consider joining a Delaware Highlands Conservancy guided field trip, at least for your first-time viewing experience, to learn the best way to view eagles. Your safety and that of others is of utmost importance when looking for bald eagles. cleared of snow and ice after a storm. Plan your trip accordingly. Be prepared for snow, ice and mud. Bring a hot drink and snacks. Avoid hypothermia; dress for extreme cold. Temperatures and wind chills are lower near the water. Remember the key to successful eagle viewing is Patience! Please respect private property and restricted areas! Report your sightings on our Facebook page. Follow proper Eagle Etiquette. Be sure to report any behavior that could harass, annoy or be otherwise detrimental to the eagles. Volunteer to be an eagle monitor! Support the Delaware Highlands Conservancy and our work protecting healthy habitat for eagles and people. FACT:To identify eagles, look for the massive wing span of 6-7 feet, twice the size of any other bird of prey that you might see here. They are a deep brown and their heads are mottled with white. When they soar, their wings are held nearly flat, compared to the V-formation of a turkey vulture or the angled wing of an osprey.